This project has been a year and a half in the making, working on and off in front of the TV. 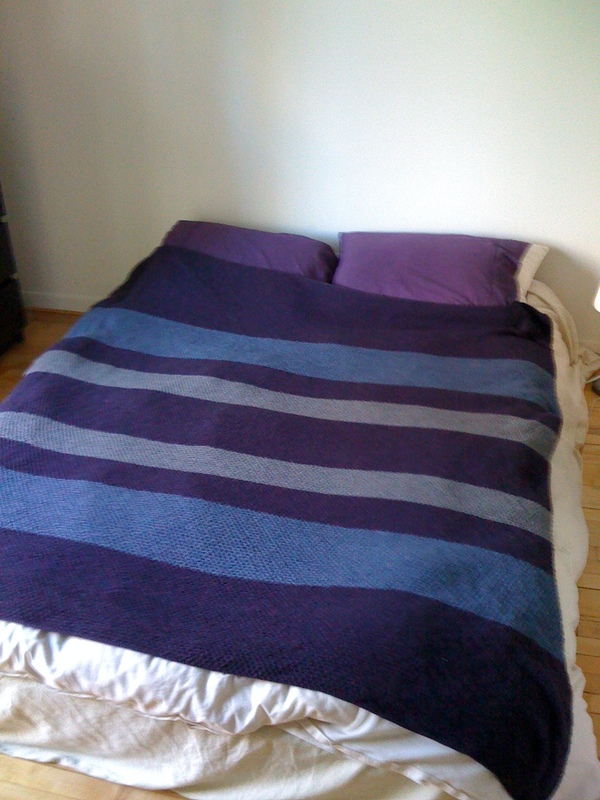 The blanket is big enough to fit a queen sized bed –each row took about 15 minutes. I used 16 balls of yarn knitting a moss stitch. Plain but functional. I knew the blanket was a success when the dog began using it as her favorite sleeping spot. The downside: it shows every single dog hair. It’s pretty, how thick was the yarn? Thanks! It’s just regular worsted weight yarn, the brand is Bernat Satin.